Hwange National Park is the largest natural reserve in Zimbabwe, a staggering 14,651 km² of wilderness and wildlife, of empty spaces and large herds of animals, of deafening silence and the vibrating roar of a lion on a still night. At an isolated waterhole on a hot and cloudless September day in the far south-eastern corner of the Park, I meet Arnold Tshipa. Arnold is a large man; both broad-shouldered and tall, dressed in weather-worn khaki and practical boots. He sits earnestly at a desk watching the waterhole. In front of him is a notebook, beside him his binoculars, and to his left hangs a thermometer. As I arrive he checks the thermometer and notes the temperature in his book. Arnold’s face opens into a broad grin as he welcomes me and my intimidation at his size melts away. 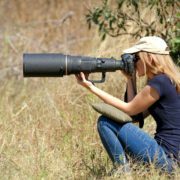 He explains that he is assisting Wildlife and Environment Zimbabwe with their long-running annual game count in which all animals are recorded at designated water points throughout the Park over a 24-hour period. The data is compared with previous years and is available to anyone who needs it. With flies buzzing around our faces eager for the moisture provided by a drop of sweat and with frequent pauses to record the arrival of another herd of thirsty elephants, I interview Arnold. 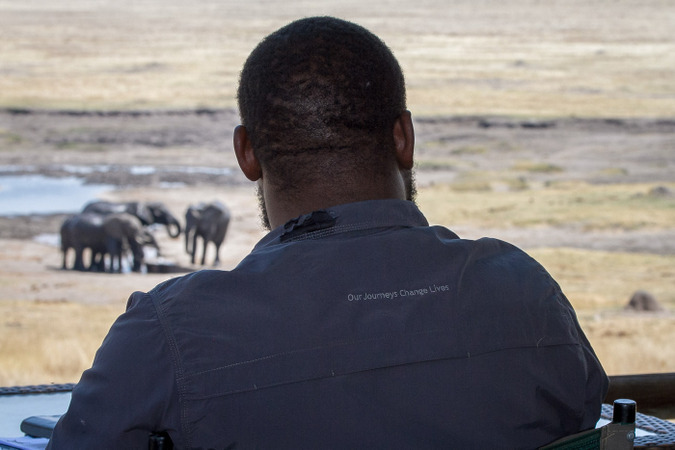 He is currently finishing his Master’s thesis on elephant movement within and out of Hwange National Park and I am here to find out about his research, how it affects our understanding of Hwange’s elephants and what it means for elephant conservation. Arnold received a degree in Forest Resources and Wildlife Management from the National University of Science and Technology Zimbabwe in Bulawayo. In his third year, he did an internship with the French National Centre for Scientific Research (CNRS) at their Hwange research site. His time with the CNRS allowed Arnold to work in the field across multiple disciplines and thus to learn a huge amount about Hwange. 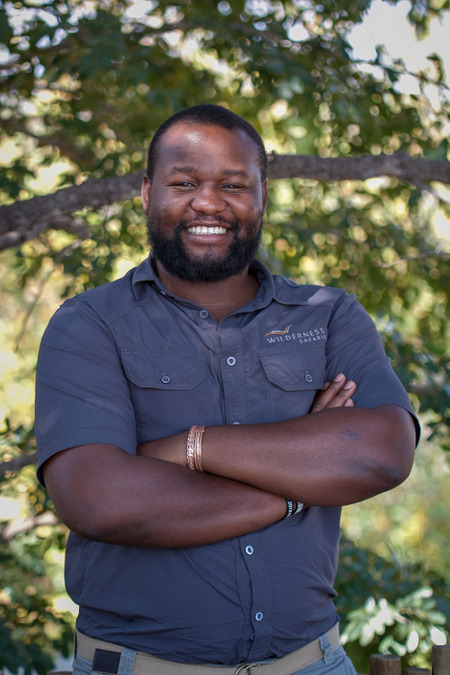 Upon graduating he applied for and was granted the job of Chief Ecologist and Environmental officer for the Zambezi Region (Zimbabwe and Zambia) with Wilderness Safaris. “I started at Wilderness with a passion for elephants and that is where I chose to focus my research,” he states. 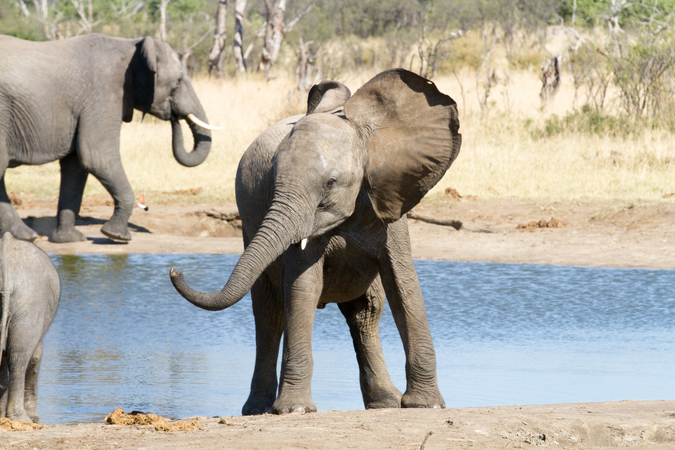 Supervised by Dr Simon Chamaillé-Jammes from the CNRS, Arnold recently published a scientific paper entitled ‘Partial migration links local surface-water management to large-scale elephant conservation in the world’s largest Transfrontier conservation area‘. 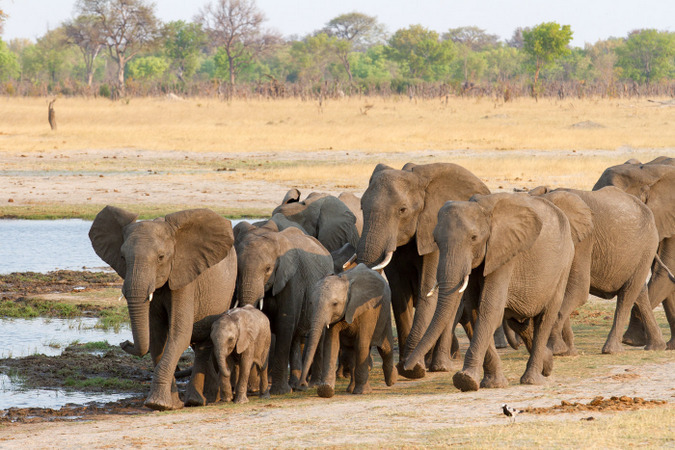 Arnold used GPS tracking collars on 32 elephants between the years 2010 and 2016 to conduct the first study of large-scale movements of African elephants in Hwange. Hwange is unfenced, allowing free movement of animals and is a vital part of the Kavango-Zambezi Transfrontier Conservation Area (KAZA TFCA). The KAZA TFCA is an enormous multi-country conservation area that spans five countries and is larger than Germany and Austria combined. Arnold collared female elephants, explaining that “it is the females that drive the population as a whole. 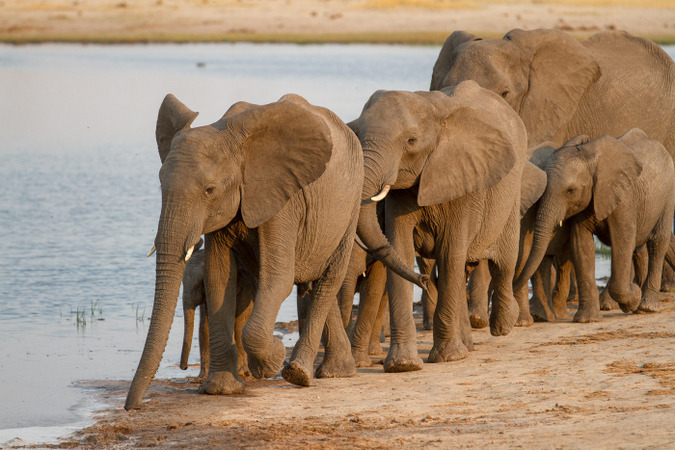 They move as a herd so this data reflects the general movement of elephants better then collaring males would have done”. The GPS collars were programmed to send location data either each hour or every 4 hours giving a very detailed look at the elephant’s movement over the three years of the study. “We always spoke about cross-border movement but never had any proof of it, now we do,” he continued. 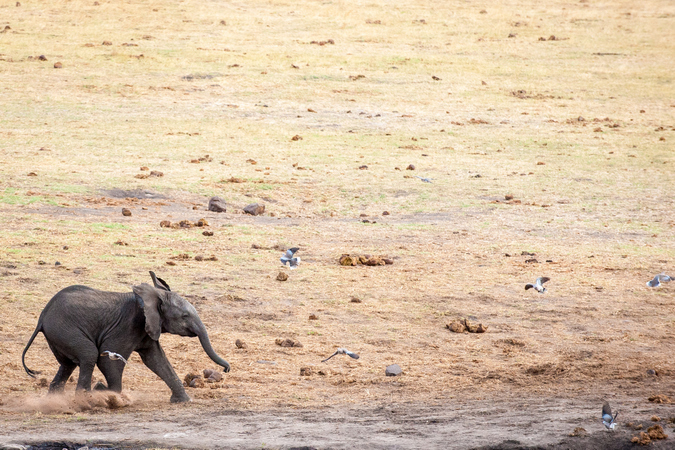 “The biggest takeaway from my research is that partial elephant migration exists within Hwange National Park and that this is driven by water resources”. He also found that an individual elephant was a short distance migrant for two years and then became a long-distance migrant in the third year, showing that this behaviour can change. 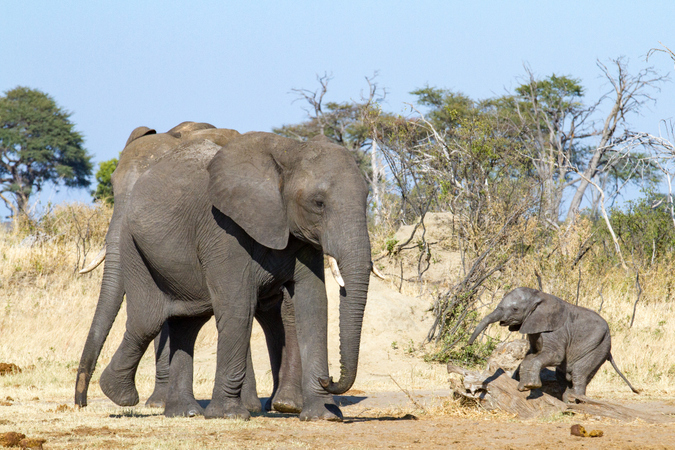 The data from the study brings to light that the elephant numbers within Hwange National Park vary hugely dependent on the season. 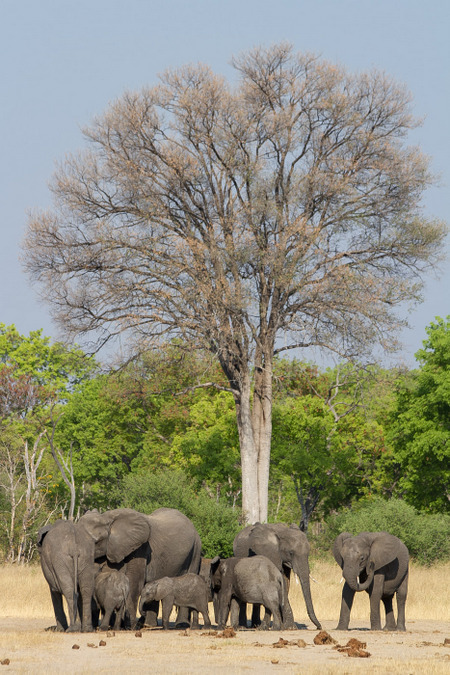 When the elephant population of Hwange is quoted it should always be qualified with the time of year. Elephant numbers across Africa are dwindling and the KAZA TFCA is one of the last strongholds for these creatures. This research shows that elephants are a shared natural resource and do not belong to just one country. This is vital in deciding how this precious resource is managed and this research gives better data that can be used to determine current management practices. It is vital that if one country is to undertake population management exercises such as culling, all countries are consulted. If Arnold could have one thing come about as a result of his research it would be that countries start looking at broader approaches with multiple stakeholders from surrounding regions. “My hope is for people to work together with no arguments… we must focus on the long-term and embrace the Transfrontier concept,” he says. He is calling for integrative planning involving national wildlife management institutions and the private and communal sector. Arnold would like to convey his gratitude for the support of the Zimbabwe National Parks and Wildlife Management Authority and his sponsors without whom the project would not have been possible. Although Arnold’s research has shown that seasonal movement of elephants exists, the question of what drives it still remains. Arnold is hoping to answer this question and others that will contribute to our ability to conserve these iconic animals in his PhD research. Although his research has provided interesting data, many questions remain. Arnold is looking for funding for his PhD. He would like to collar elephants in new areas of Hwange National Park, closer to the border with Botswana (he previously collared elephants around the Main Camp area in Hwange’s northeast) to see if new movement patterns emerge. It is likely that even greater cross-border movement in elephant populations located closer to the border may exist. • To understand the influence of elephant herd demography on migration. i.e. : Does the ratio of male, female, sub-adults and babies in herds affect their ability to migrate? • To understand the influence of habitat on migration. i.e. : Do elephants in areas with greater resources remain while others leave? • To understand the influence of competition on migration.i.e. : Do dominant herds stay while others must leave in the leaner seasons? To get in touch with Arnold, you can email him here.